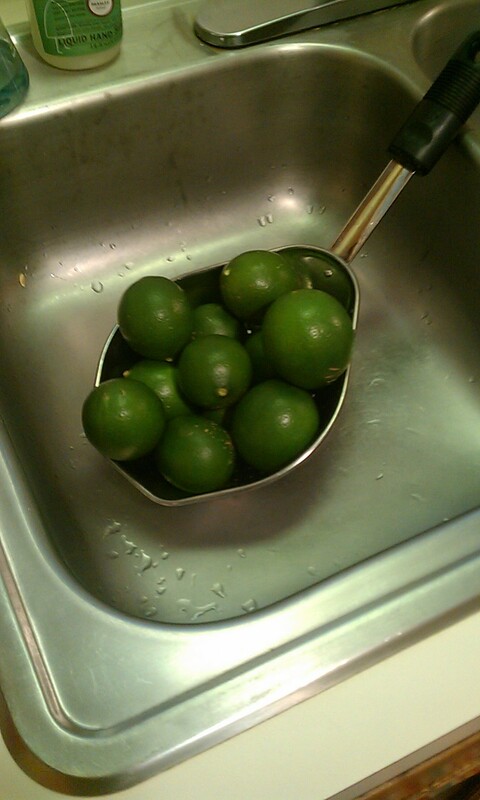 Husband just found a lime tree behind our fence. It appears to be on the property line between our house and the neighbor’s … so … I don’t feel that bad about the fact that I immediately fetched a ladder and collected these. I plan to make myself some limeade.